The Form Chair with chrome legs is part of the Form series by Simon Legald for Normann Copenhagen and is a sleek, timeless chair in a unique design. Legald wanted to create a seat with a seamless aesthetic, which is why the seat top is simply slotted over the frame like a plug. The chair looks soft and has no sharp edges, making it seem like one piece. 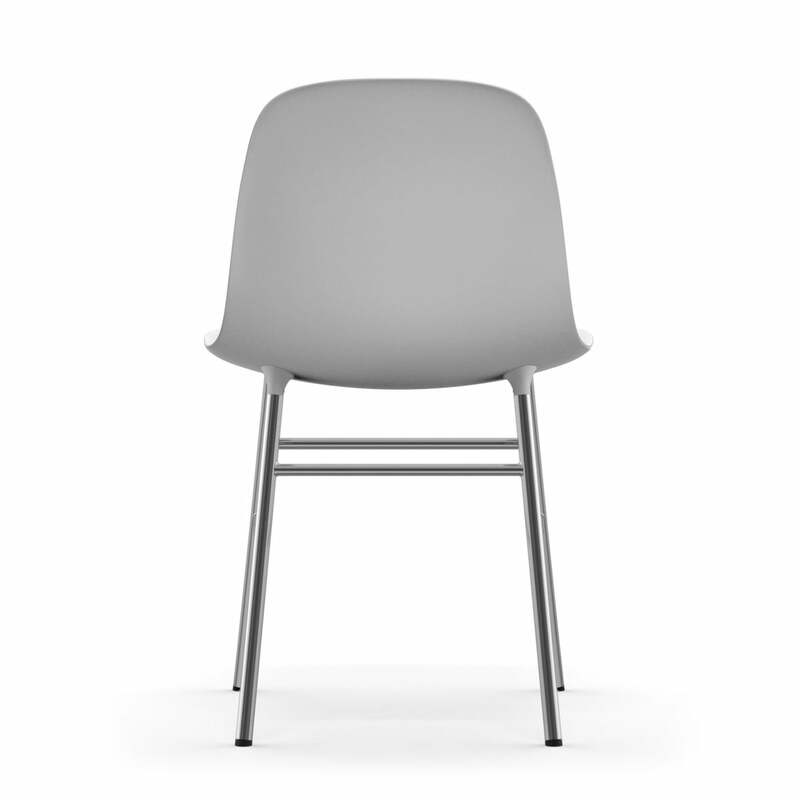 With the shape of its seat shell, the Normann Copenhagen Form Chair provides good back support and complete mobility while the armrests offer additional comfort. It is made of polypropylene and is available in many different colours so that it adapts well to any style of home decor. 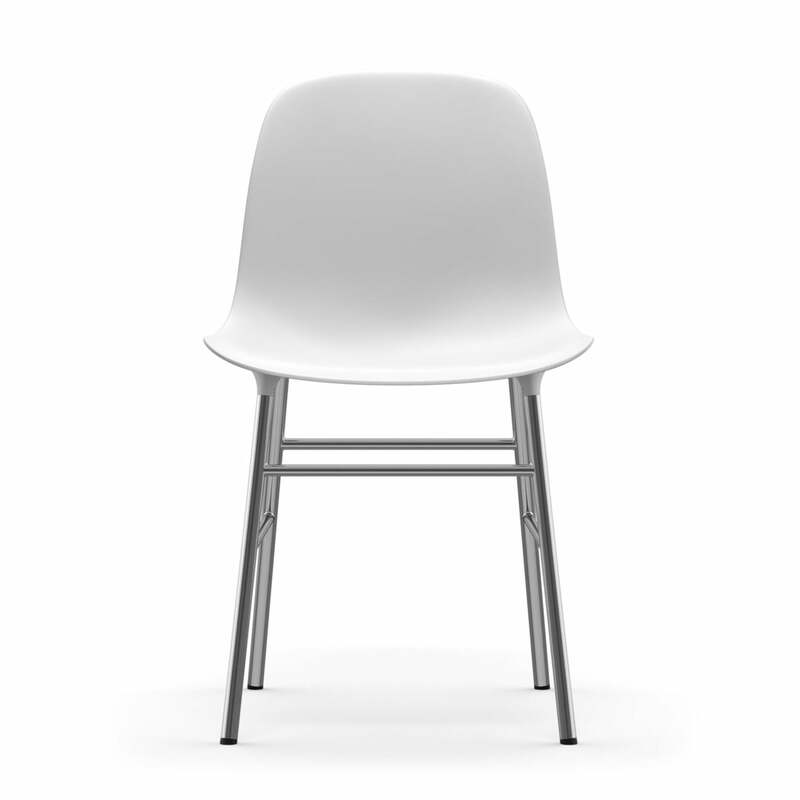 The shell is attached to a chrome-plated frame of tubular steel, which gives the chair a very fine appearance. Form in chrome is a strikingly elegant chair, enriching every dining and living area with its presence and optimal comfort. 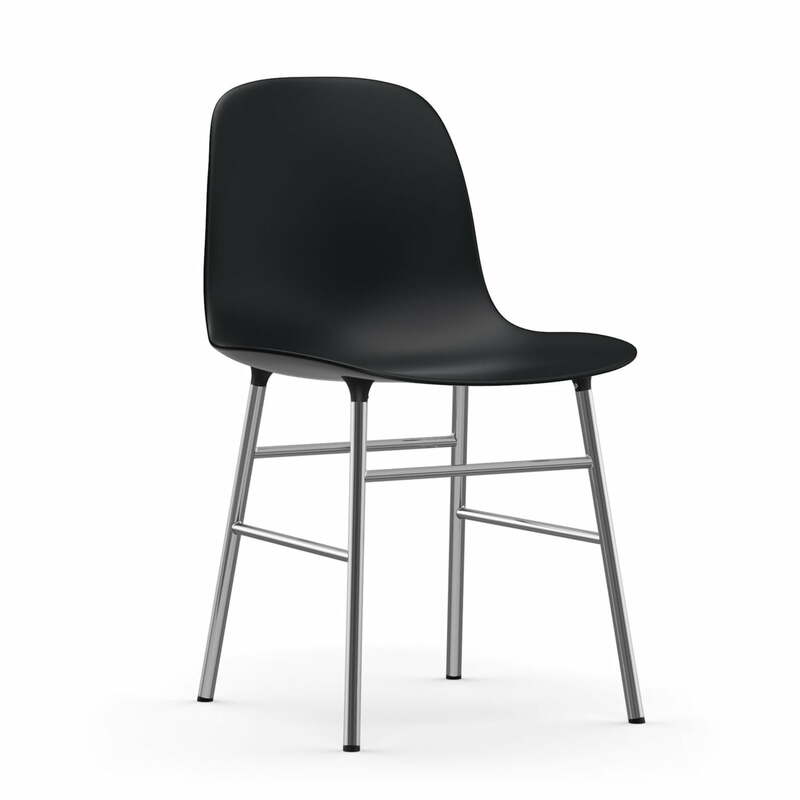 There are a variety of seats in the Form collection, all featuring a comfortable seat with or without armrests. For the frame, there is the option of wood, steel or chrome, and matching tables are available for the chairs, armchairs and stools. 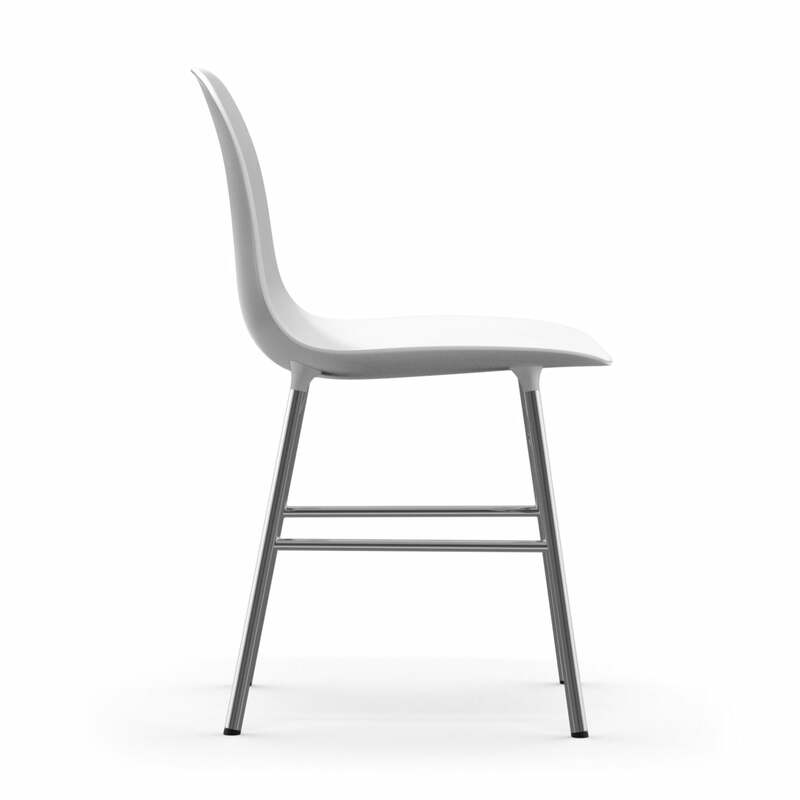 With the shape of its seat shell, the Normann Copenhagen Form Chair provides good back support and complete mobility while the armrests offer additional comfort. 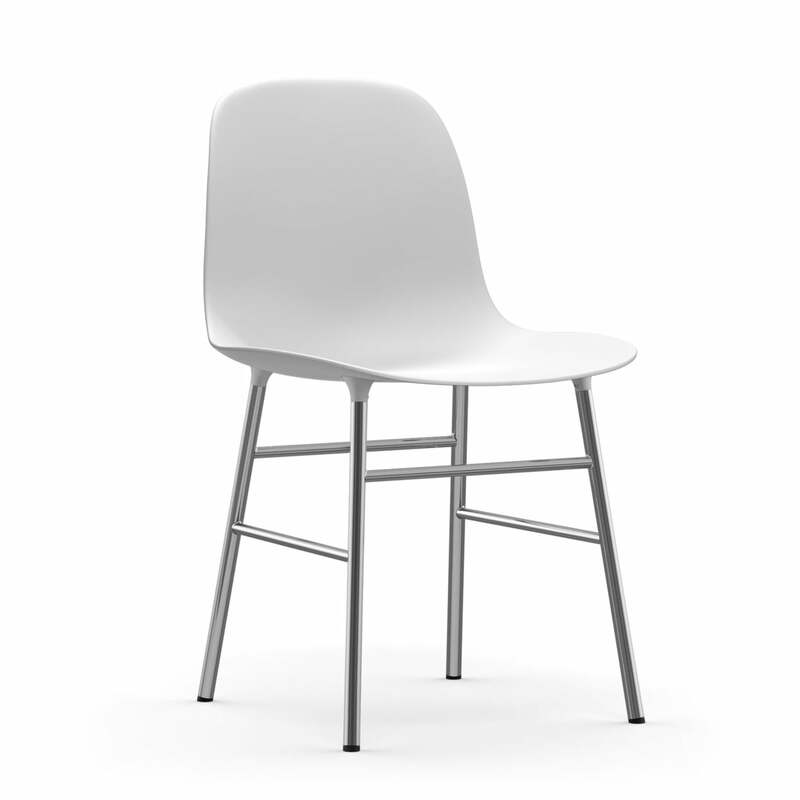 The Form chair in chrome by Normann Copenhagen is a strikingly elegant chair, enriching every dining and living area with its presence and optimal comfort. Simon Legald wanted to create a seat with a seamless aesthetic, which is why the seat top of the Form chair is simply slotted over the frame like a plug.